- super dispersant, super flow agent and super water reducer. An efficient water reducing - strength increasing - super plasticiser - cement dispersant admixture - which compliments the cement binder used in only small quantities in freshly prepared poured-in-place concrete, mortars etc. • Is a safe-to-use, versatile non air-entraining cement lubricant, flow agent, water reducer and fluidifier for concrete and mortars. • Increases the durability, hardness, density, flexural, tensile, compressive, impact and bond strength of hardened concrete and mortars by dramatically reducing the water content required for a given degree of wet consistency (slump) whilst maintaining the workability ease of a semi-fluid, uniform, homogenous, cohesive plastic mix. • Successfully and considerably reduces drying shrinkage, cracking and creep of hardened concrete and mortars. Cosmotron® DPU-AC is used with virtually all types of hydraulic cements including normal Portland cement. • Efficiently and effectively reduces energy for steam/burner controlled elevated temperature/humidity curing of concrete products, precast, pre-stressed and chemical pre-stressed concrete. • Can be added and re-added to any cement based mix in its plastic state to maintain slump with 15 - 30 % less water or increase slump at the same water content. Suitable for masonry cement; magnesium oxychloride; Portland pozzolan; sulphate resisting; oil well; white, off-white, grey and coloured Portland cements. • Allows the water content of plastic concrete to be kept low - thereby in the hardened state increasing corrosion resistance, mechanical strength and longevity, whilst maintaining placement ease at typical slumps (80mm). • The suggested optimum dose of 0.4Kg. Cosmotron® DPU-AC / 100Kg cement typically reduces the water/cement ratio (W/C ratio) from 0.55 to 0.38 and lower at normal consistencies. • Although not necessary, it may be mixed with water - preferably warm - prior to dosing if required. Cosmotron® DPU-AC dispersable powder - 40 parts by weight to 60 parts by weight of water - for addition to concrete / mortar mixes etc. as liquid through admixture dispensers or by hand. a. Change target characteristic strength (f’c) 25 MPa concrete into 32 MPa hardened concrete at 28 days by reducing the water content of plastic freshly mixed concrete for the same slump. b. Change 80mm. slump 32 MPa concrete into flowing 32 MPa concrete at around a 160mm slump - enabling placement in half the time. However, satisfactory concrete compaction with vibration equipment although easier and faster is still required to remove all air voids in the plastic concrete and densify it. c. Change concrete to degrees within and without the bounds of these two examples at different Cosmotron® DPU-AC dose rates. (i) By reducing the water content and increasing ultimate strength. (ii) High accuracy is unnecessary. • Cosmotron® DPU-AC can be added to the plastic mix at the batching plant with the reduced water content (Approx. 15 to 25% less) or later on site. Alternatively, first make a gauging or mixing solution of the Cosmotron® DPU-AC to be added to a concrete mix with water. - No special equipment is required. - High accuracy is unnecessary. - Results in normal setting time - but much higher early and ultimate strengths. - Is used to reduce the total water content in normal Portland Cement based concrete, including all water in or on the aggregates - especially the water content of the sand, from (say) a total of 160 litres to 120 litres per m3 (at approx. 0.8Kg. /100Kg. cement), the strength is increased substantially and the setting time is unaffected - subject to and depending on cement brand, type and content, concrete temperatures and sequence of addition. ( Please Note That: used at the same dose rates, Cosmotron® DPU-AC does not retard the set and improves the performance in water reduction of regular, conventional water reducing admixtures). Another advantage is that the higher strength at early ages (from 18 hours after setting) allows earlier removal of form work and therefore quicker construction. N.B. for quick setting as well as high early strength, the use of our CEMSwift MT non chloride set accelerating system in conjunction with Cosmotron® DPU-AC the setting time of the concrete at a given concrete temperature can be reduced by 20% approximately. Additionally or alternatively, hot water may be used for mixing concrete / mortar to speed up the set time. • Powder Cosmotron® DPU-AC is packed in 15Kg multi-wall paper sacks. Powder Cosmotron® DPU-AC can be pre-diluted with water before use. (Pref. At 50-60ºC). • Stronger, denser, crack-free, high bond, non -‘drummy’ cement renders / wall finishes. • Low-shrink, flowable high-strength grouts. • Watertight concrete by designing a mix with a maximum of 190 Lt. of water per m3. • High heat, high bond, refractory mortars - using our “Celerity” brand High Alumina (‘Fondu’) cement. • “Stamp pattern”, surface coloured and especially integrally ‘through’ coloured concrete paving - Cosmotron® DPU-AC powder can eliminate ‘patchy’, blotchy spots and results in consistent, uniform colour over and within the total area of pavement. • In temperatures above 25°C it allows multi-use of concrete moulds on a 24 hour daily basis to produce two (2) precast concrete products from each mould. Use the quickset CEMSwift MT plus Cosmotron® DPU-AC system. • Pump mix concrete that is thixotropic which flows exceptionally easily and does not bleed. • Good looking, uniform, blemish-free, impressively smooth, architectural concrete of uniform colouration and appearance. • More easily and economically placed, pumpable flowing concrete for use in confined areas, large slabs, pavements, suspended floors etc. • Low energy, elevated temperature and high humidity cured and hardened concrete. • Concrete carted over long distances (use Cosmotron® DPU-AC retarding grade). • Manufacture of highly aesthetic, quality precast concrete products with reduced fuel consumption for elevated temperature curing. • Efflorescent and laitance-free poured-in-place in situ concrete and concrete products. a. Add the Cosmotron® DPU-AC to the concrete after the water and some initial mixing. b. Add the Cosmotron® DPU-AC to water first to make a dispersion of a concrete gauging or mixing liquid which is then added to the mix in a rotating mixer last. (N.B. Dispersions of Cosmotron® DPU-AC in hot water at 0.5% Cosmotron® DPU-AC weight/cement weight used as the mixing or gauging liquid for concrete or mortar, will reduce the setting time of that concrete in cold weather made to a given slump or degree of plastic consistency). Other grades of Cosmotron® DPU are highly recommended for use as particle repelling dispersants in many water based industrial processes. They reduce water content and lumpiness. ie. to produce free-flowing pastes / slurrys without agglomerates or ‘seeds’ with less water. They reduce viscosity and / or allow the increase of particulate solids in a slurry or suspension. Cosmotron® DPU-CA grade is used as efficient secondary EMULSIFIERS, WETTING AGENTS-SURFACE ACTIVE AGENTS for all water based liquids and are SEQUESTERING AGENTS. Please request the relevant product data from Ability for your industry. 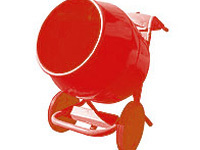 Curing of concrete, that is a procedure used for, the prevention of evaporation of the mixing water used to make the concrete, mortars, grouts etc., after it has set, it is very important to ensure that the mixing water remains available for the continuing chemical hydration process thus ensuring maximum strength, hardness and durability. When using an efficient water reducing admixture like Cosmotron® DPU-AC for making concrete with a film-forming membrane liquid, designed for the purpose, or keeping the set (but not completely hardened) concrete damp for as long as possible.We recommended the following Ability products to achieve effective, easy curing. A liquid water wash-up, acrylic emulsion based coating material. Available in various oxide/ochre type colours eg. white, black, brown, light brown, red, beige, marigold, yellow and green. Water based adhesives can later be applied to surfaces treated with Dy-On-Crete® Mark 2. eg. To adhere vinyl, ceramic tiles, slate etc. to the concrete surface with water wash-up adhesives. Duro-Seel Clear - A Proprietary Pigmented Curing Compound and protective Sealer. Duro-Seel Clear is a safe-to-use, solvent based, most highly efficient, innovative and durable product. It cures and seals in one application. This sealer / curing compound is normally applied by roller, spray or brush/ soft broom to ‘just-set’ freshly placed concrete very soon after finishing has been completed. It ensures very efficient curing and therefore ultimate strength and abrasion resistance of coloured or unpigmented plain concrete. Used as a curing compound it provides consistent, uniformly even colouring for coloured concrete of all types - particularly stamp patterned concrete. Duro-Seel Clear can also be applied to clean, hardened, existing concrete as a protective, penetrative sealer. It is also popular for use in manufacture of durable concrete roofing tiles, and for application to masonry brick and pavers, sand-stone, slate and other types of building stone. Application equipment is cleaned with a safe, easy-to-obtain solvent - mineral spirit (mineral turps). Dries to a translucent water vapour-proof clear, durable finish on either just set, freshly finished concrete or suitably prepared for sealing, clean, sound, hardened, existing concrete. This clear sealer does not appreciably darken or change the colour of a concrete surface, giving a durable low sheen finish. Two (2) coats minimum are recommended for durability. The more coats, generally, the longer all coatings last.